If you are a Verizon Wireless Cellular Data customer, you most likely use the Verizon VZ Manager program to manage your connection to the Internet. VZ Manager is available for both the Mac and PC Operating Systems. You need to run the correct version of VZ Manager based on the specific Verizon Wireless Cellular Data Device you are using. In some cases, newer versions of the Verizon VZ Manager Software that support 4G devices may not support older Verizon 3G Cellular Data Devices. If everything works properly, the VZ Manager Software will make an initial connection to the Verizon Wireless Cellular Data Network and link your new device to your account enabling you to connect to the Internet. During the initial connection, you may be prompted to allow the VZ Manager Software to either update itself or download Firmware updates to your device. You may be prompted to reconnect multiple times during this update process. The last update is usually a roaming list that includes specialized network information to allow you to connect to both the Verizon Cellular Network and other Cellular Carries where Verizon has Cellular Data Network Sharing agreements. There are few options to accomplish this task. If you are fortunate enough to have a Windows notebook that is also compatible with your Verizon Cellular Data card, just follow the instructions above to install the updates and prepare your card for Mac use. If you are running a Microsoft Windows Virtual Machine in either VMWare Fusion or Parallels for Mac, you can assign your device to the Windows Virtual Machine; Download the Microsoft Windows version of the Verizon VZ Manager Software for your particular Cellular Device, perform the activation again, and apply the updates. Upon completion, you simply disconnect from your Windows Virtual Machine and re-launch your Mac version of the Verizon VZ Manager Software. At least once every three months, and preferably monthly, you should repeat this process so that your Verizon Cellular Device is always up-to-date. NOTE: If the previous paragraph made no sense to you then you are not running a Microsoft Virtual Machine, so move on to the next option. If you do not have a Windows Virtual Machine on your Mac, and you do not own a Windows Notebook that is compatible with your specific Verizon Cellular Data Card, then find a friend who does. Hopefully, they will let you download and install the Verizon VZ Manager Software for Windows and update your Verizon Cellular Data Card. Not to worry, activation and updating of your Verizon Cellular Data Card is Air Time Free and does not dip in to your Data Plan. For AT&T, Sprint, and T-Mobile customers, the procedure is pretty much the same. One company, Smith Micro, pretty much writes the software and rebrands it for each Cellular Data Carrier. And, only a few companies, such as Novatel, Pantech, LG, and Kyocera manufacture the majority of PCMCIA, Express, and USB Stick Cellular Data Devices. 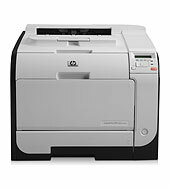 There is a firmware update for the HP Color Laserjet M451 Series Printer, (M451d, M451dn, M451dw) that corrects the Phantom Paper Jam, whereby the display shows “Error 13”, yet there is no actual paper jam in the printer itself. The Printer Web Page Event Log will show “Error 13.0000 Paper Jam”. Download the Firmware directly from HP here or from HP.com – Support and Drivers – Enter “M451” as the Search Term – for Firmware and Drivers along with other support files. The currently installed Firmware version can be found on the “System Configuration” page of the Web Management Console or by printing a “System Configuration Page” via the REPORTS menu from the Printer Control Panel. To view the Printer Web Configuration Pages (Console) via a Web Browser, locate the IP address of the printer and enter in to a Web Browser. The IP Address of the printer is usually shown on the LED Display of the Printer itself alternating with other activity and status information. Fixes issues when cancelling copies and printing pages. Improves functionality for AirPrint devices.